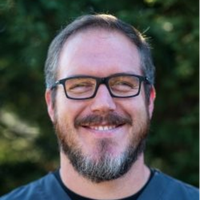 Sean Grady is a Doctor of Chiropractic with PT privileges, who has been practicing with Health Quest since 2011. He is also a Certified Functional Medicine Practitioner and holds the prestigious diplomate from the American Chiropractic Neurology Board (DACNB). This New York native earned his bachelor’s degree from Logan College of Chiropractic and his Doctor of Chiropractic degree from New York Chiropractic College. As a Functional Neurologist, Dr. Grady provides services targeting rehabilitation of the brain for those suffering from a variety of neurological conditions, including headaches, vertigo/dizziness, strokes, neuropathy, concussions, and mild traumatic brain injuries. He is also certified as a Whiplash and Soft Tissue Injury Specialist through the Whiplash Injury Biomechanics and Traumatology program at the Spine Research Institute of San Diego, and is pursuing dual fellowship certification in both concussion/MTBI and vestibular rehabilitation from the American College of Functional Neurology. Dr. Grady originally moved to Baltimore from New York with his wife and two daughters - but is now a proud member of the Baltimore community and a fan of its crab feasts!